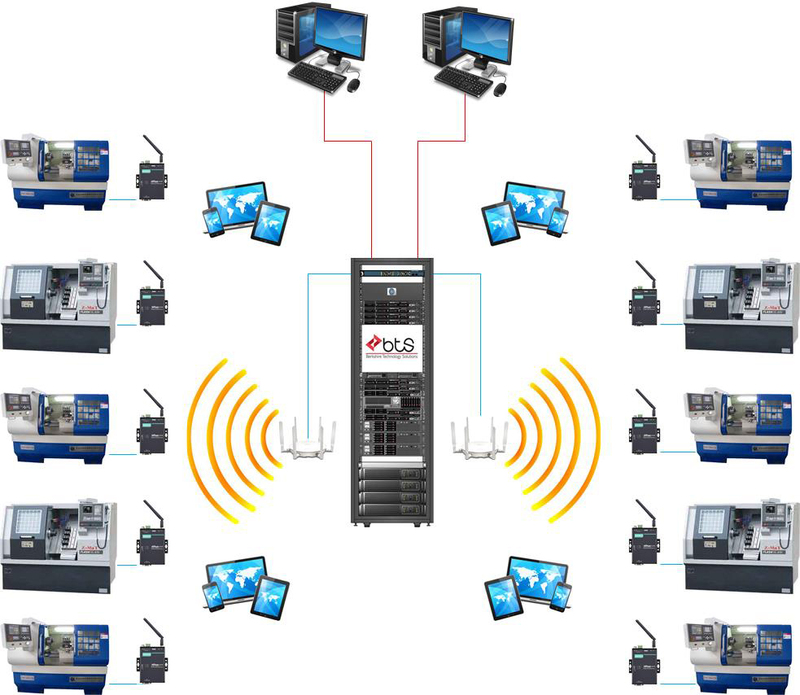 A wireless DNC system provides manufacturers with many advantages including the flexibility to move machines and avoid clearance issues typically associated with hard-wired DNC Manufacturing Execution Systems. The Serial Bridge creates a wireless connection between a wireless LAN device with a serial port. This wireless hardware device has been tested and certified by the BTS QA team to offer reliable wireless DNC. BTS has helped us improve our manufacturing processes by assisting in the integration of hard wired and wireless communication between our upload computers and the machine controls on the shop floor.